More offerings to the gods of the jungle, Oahu. 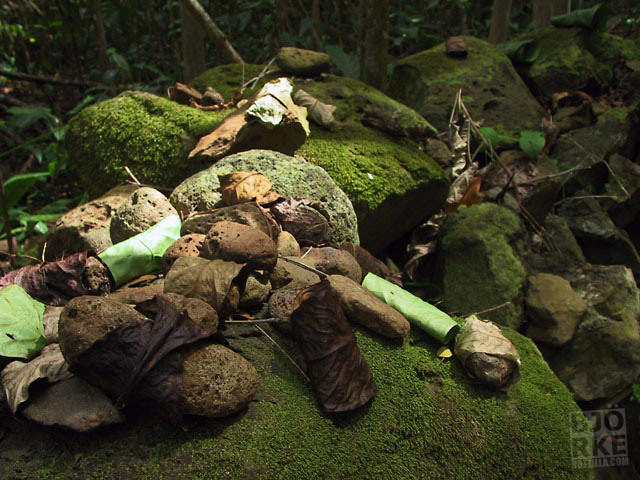 Stones hand-wrapped and tied in ti leaves are a common offering here. not native people... why would you wrap rocks like food? concerned that vistors are rearranging actual ancient sites.